Season Winding Down, Pressure Building Up | PRCA Windham Weaponry Standings as of 8/10/15. With less than $10,000 separating 20th to 12th, the NFR race is proving to be a tight one. Back on the bubble is 20x NFR Qualifier and 8x World Champion Rich Skelton and his partner Nick Sartain. Skelton suffered severe injuries due to a tractor accident this spring and has made a remarkable recovery. It’s a hard spot being on the bubble with only 7 weeks left in the regular season, but the rodeos left will make all the difference. Some of the cowboys were lucky enough to get a few days off with several relatively smaller rodeos located close together across the states such as Lovington, NM and Dalhart, TX to just name a couple. They will now head toward the Pacific for the “Northwest Run” that consists of Walla Walla, Ellensburg, and the infamous Pendleton. One could easily argue the hardest part about the National Finals Rodeo is simply getting there. These cowboys have traveled thousands of miles by planes, trains, and automobiles, rode several horses, and wore out several tires, pick-ups, and trailers. If they can get the stars to align and secure their spot in the Top 15, anyone has a shot at the world title with each of the 10 rounds paying well over $20,000. 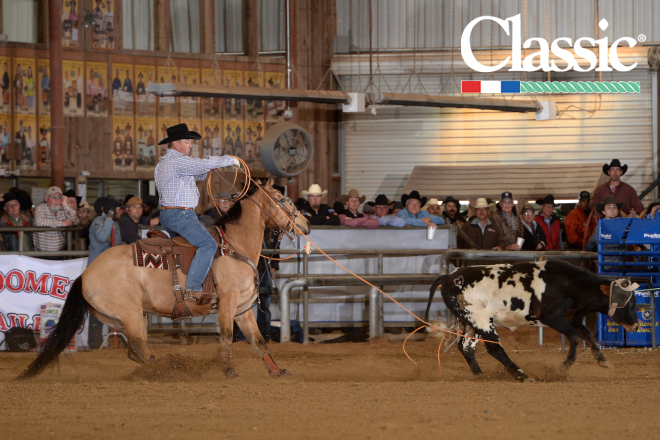 The Road to the NFR ’15 is continuing to be one to watch. < Previous 2015 PRCA Windham Weaponry World Standings as of August 3.